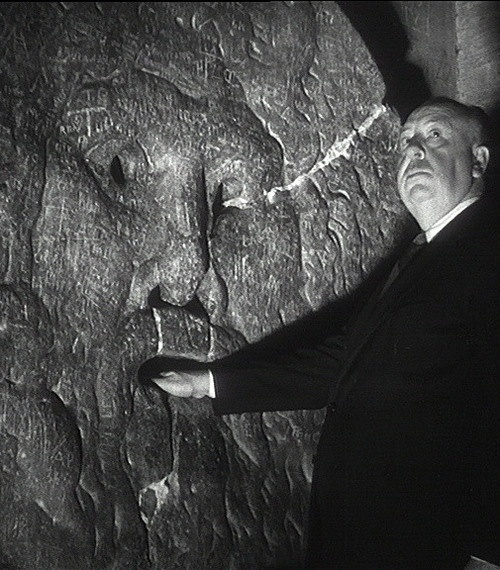 La Bocca della Verità is an image, carved from Pavonazzo marble, of a man-like face, located in the portico of the church of Santa Maria in Cosmedin in Rome, Italy. The sculpture is thought to be part of a first-century ancient Roman fountain, or perhaps a manhole cover, portraying one of several possible pagan gods, probably Oceanus. Most Romans believe that the ‘Bocca’ represents the ancient god of the river Tiber. 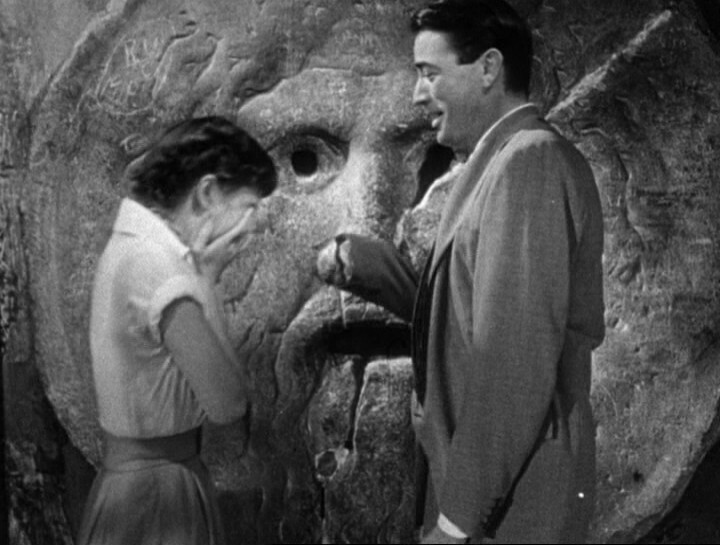 The Mouth of Truth is known to English-speaking audiences mostly from its appearance in the film Roman Holiday (William Wyler, 1953). 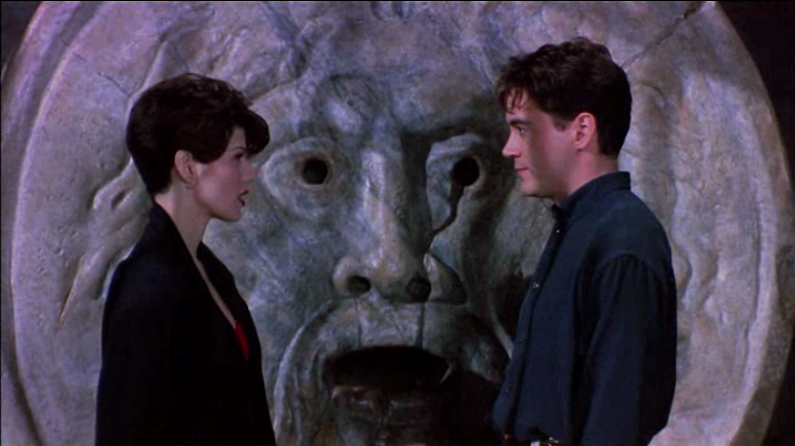 The film also uses the Mouth of Truth as a storytelling device since both Hepburn’s and Peck’s characters are not initially truthful with each other.